23 member states of the Freedom Online Coalition approved on Monday in Tallinn of the Tallinn Agenda, or recommendations on how to guarantee that online-freedoms will be a natural principle in the future too, LETA/Postimees Online reports. Estonian foreign minister Urmas Paet thanked all public and private sector and NGO representatives who have since January been preparing the recommendations. "Participation of such a wide circle of experts in compiling the recommendations guarantees that the thoughts of all interest groups are represented," said Paet. He added that for the FOC member states, these recommendations give a good and clear action plan to follow in supporting online-freedoms in the future. The recommendations can be found at the www.freedomonline.ee homepage. 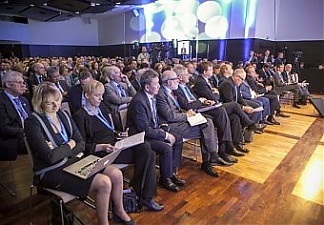 More than 450 people from over 60 countries participate in the two-day long Freedom Online Coalition conference "Free and Secure Internet for All" that started on Monday in Tallinn. The Freedom Online Coalition was founded in 2011 at the initiative of the Ministry of Foreign Affairs of the Netherlands at the Internet freedom conference held in The Hague. Today, the number of coalition members has grown to 23 states. In addition to Estonia, members includes Austria, Canada, the Czech Republic, France, Ghana, Ireland, Kenya, Maldives, Mexico, Mongolia, Netherlands, U.S.A., UK, Sweden, Costa Rica, Finland, Tunisia, Latvia, Germany, Belarus, Georgia, Moldova, and Japan. The aim of the Freedom Online Coalition is to protect and promote freedom of the Internet globally and to shape international decisions based on its fundamental principles.